An international favorite, and Broadway's longest-running musical, the award-winning Phantom Of The Opera comes to Cadillac Palace Theatre on Sunday 18th December 2016! This new imagining of the tale by Cameron Mackintosh brings the same thrills, chills and romance to the stage, but with a fresh new breath of life! Don't miss this fantastic show! "Four words sum up the unstoppable success of Andrew Lloyd Webber’s triumphant re-working of this vintage spine-tingling melodrama. Stars, spectacle, score and story. 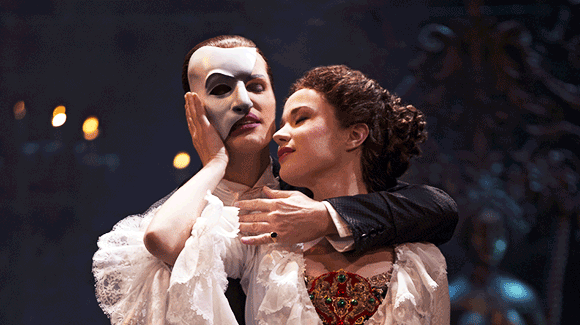 Together they add up to that old magic ingredient: theatricality. There is simply nothing on earth to transport you so quickly or so far into phantasy than a feast of illusions.